At budget time, Arts Minister Senator George Brandis seemed unwilling or unable to describe the purpose of taking $104.8 million from the Australia Council budget and placing it in a new fund, the National Program for Excellence in the Arts (NPEA) in his own Department. However, on May 27, there was a Senate Estimates review of the arts portfolio in which Brandis, as Minister, was obliged to respond to questions from Senate committee members. Much was revealed, much more was not – mostly because rationale and policies seem to be following in the wake of the decision rather than giving rise to it. So there is room for speculation and also some examination of the limited past public statements by the Minister. A FUNDAMENTAL QUESTION: WHAT DOES THE MINISTER GAIN? The Australia Council is at “arm’s length” from the government of the day. This means that law prevents the Minister from giving the Council direction in the making of a decision in any particular case, eg whether or not to give a grant. But otherwise the Minister has very broad powers indeed. S/he can instruct the Council in matters of policy – e.g. whether to fund a particular type of activity. 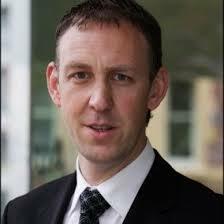 The Council has to prepare an annual Corporate Plan and this plan comes into force only with the Minister’s approval. The Minister appoints all members of the governing Board – the decision makers. George Brandis: “makes no apology”. So it would seem that the Minister can exercise all the same powers over the Australia Council as he does over programs set up in his own Department – except one. Only in the Department programs can he personally decide on who will be funded and for how much money. The Ministry has taken $5.3m from the Australia Council and given it to Creative Partnerships Australia (previously for many years called the Business Arts Foundation). This organisation has expertise and longevity in assisting arts organisations to secure private funding. Why then begin an entirely new program in the Ministry? What is there in the principle of this “endowment” program that could not be managed by the already expert Creative Partnerships? We don’t know. International touring. The Australia Council Corporate Plan gives high priority to support Australian in achieving international success. What part of that plan does the Minister find inadequate and if there is inadequacy, in approving the plan, has he discussed it with the Council before creating a new program in the Ministry? This is true. Senator Brandis gives the example of Ministerial support for a Queensland Ballet tour to London. This will be a great fillip to the company. But there is possible a much more purposeful objective: to establish a company in the international market through an expert strategy of artistic development, repeat touring and marketing. This outcome will not result from a single tour. The artists selected for this purpose should be our best and would be bound to serve DFAT’s needs. The Australia Council has a track record in this area. But despite the priority it gives to international projection, appears to be peripheral to these negotiations with DFAT. Why? Of course it is, but to what purpose will the Minister apply such strategies? At this point, Ms Basser though “working hard”, cannot say. Much of the Estimates discussion attempted to find out. The Minister gave general responses, some of which partly answered the question. So on this formulation the NPEA is intended as an alternative for those who did not succeed at the Australia Council. They cannot so much appeal the decision per se as try to get the Minister to provide the funds they missed out on. There are some recent successful examples: an $80,000 windfall to the Australian Festival of Chamber Music, and $275,000 to Melba Records via the Melba Foundation. They no longer had to compete with the successful 20%. When Senator Brandis suggested this justification, which he calls “contestability”, he frequently asked Ms Basser then to provide details and she, inferentially, would contradict him. The Department was working very hard with the Australia Council to avoid duplication and achieve complementarity. It figures, then, that applications rejected by the Australia Council would not be eligible for funding from the Department. It’s just logic. The Minister speaks of the desirability of having “contestability, diversity, making arts funding available to a broader variety of organisations, festivals, individuals, groups” than are able to fit within the Australia Council’s current guidelines. Senator Collins asked what now does not fit and he cannot answer. Collins asks for one or two specific examples. He gives the example of the Melbourne Hebrew Congregation’s attempt to get Australia Council funding for a concert of cantorial music. It failed and an approach was made to the Minister. It is not clear whether it failed because it was not eligible or was not competitive. Here is an example of an application that would not have fallen within guidelines. The Melba Foundation was unable to get funding of $1 million to start a record label, because the entire budget of the then Music Board was about $4 million and the amount assigned to assist recordings was less than $200,000. So the then Arts Minister, Helen Coonan, bypassed the Australia Council and provided the funds. Legally, she could not instruct the Australia Council to fund Melba. However, she could have set up a $1 million dollar fund and directed the Council to apply it in the support of record companies releasing discs of classical music. But there were small, experienced, expert companies who were used to getting say a $10,000 grant. They would have competed and Melba may not have been successful. Minister Brandis has just given Melba a direct grant of $275,000. Same story. Budget for recordings, $670,000 over two years, about $40,000 per company, $10,000 per recording. Melba would have taken an amount nearly equal to the recording budget for a year. Anecdote. I was Director of the Music Board in the 1980s, and Barry Conyngham was Chair. We used to say wryly to each other: “They all hate us. Either we don’t give them any money or we don’t give them enough.” From that point of view, it was a crap job, especially since our intentions were pure as pure. Since the paucity of funds results in four rejections for every success (and in those circumstances, many, many others don’t even both applying but still have something to say at the pub), there are a lot of unhappy artists harbouring dark suspicions about the acuity or motivations of their peers. So by and large, if you were deciding on the fairest, most productive model for arts funding, I am not sure you would depend upon a vote by the artists. When my interview for the job at the Australia Council was scheduled, I was working in the USA. I decided it would be a good idea to talk to the then head of music at the Canada Council. He was a bureaucrat who apparently made the funding decisions personally. He spoke as the Baron of Music. It was his to play with or at least, he seemed to think so. Distasteful, and wrong. It certainly coloured my views. But there is a big difference between the Australia Council and the Ministry, whatever procedure it adopts. At the Australia Council the artist peers decide the grants; at the Ministry, the bureaucrats or “creative advisors” advise the Minister. As Brandis says, he does not assess. But he decides. 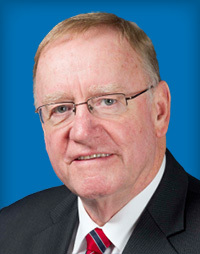 It’s a bit like mentioning the Nazis, but remember Queensland premier Jo Bjelke-Peterson. He used arts advisors. Against their recommendations, his government terminated funding to a number of organisations with whose politics it disagreed. While arm’s length independent statutory authorities are actually created by politicians, other politicians don’t like them. Are you sure this is what you want, Minister? And is this not part of the situation that statutory independence is intended to avert? 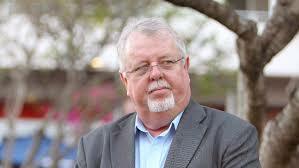 To which importuning pollies will the Minister accede, and why? Will he everchoose on the basis of what is the best art, or what is best for the arts or even, what is best for that electorate? The title National Program for Excellence in the Arts (NPEA), to which will be applied the $108m transferred from the Australia Council, surely implies that there is a need to support excellence that the Australia Council is not fulfilling. It could be not-funding excellence or funding non-excellence. But no evidence or examples are given. The pursuit of excellence in the arts has been a key objective for the Australia Council, stated in its legislation, since its inception 40 odd years ago. There have been disputes mounted in particular by those who believed the concept of excellence was being defined so as to exclude all but the traditional high arts. This has led some to a more contextual view. One of the reasons given by Senator Brandis for establishing the new fund is to offer opportunities for funding to those who are excluded by the Australia Council. It is difficult to believe that the Australia Council refuses to fund a project because it is too excellent, and especially if the excellence is of the type that the Minister seems to favour. If he wishes the NPEA to support activity that is excellent and is not supported by the Australia Council – and neither I nor he seem to know what that would be – then he may have to amend his concept of excellence to include, e.g., the excellence of community arts programs in regional communities even though they do not produce art of an excellence that is ready e.g. to be tested in the international market. Senator Brandis: “We want to spend more on developing our arts companies, which is why we have created this new fund.” He means the 28 major companies funded through the Australia Council: orchestras, opera, theatre, dance, circus. 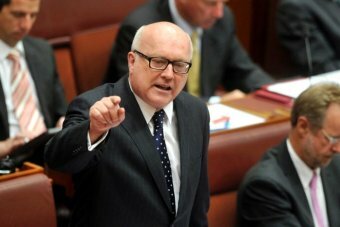 Brandis: “All the talk has been about the small to mediums and I understand that. But let us not forget that the major performing arts companies are the heart and soul of the performing arts sector in this country. They are the big employers of artists and arts workers. They are the people who undertake most of the touring, including the regional touring, as well as the international touring. I reckon, duck when pollies start using the word “great”, as in “this great country of ours”. But what does the Minister mean when he speaks of “great audiences”?! An arena show – “Y’all have been a great audience! Thank ya thank ya thank ya.” Probably not. What does the Minister as hero-protector of the audience actually plan to do? Brandis: “What are the shows…that audiences go to?” Primarily, he says, the drama, music, opera, ballet, dance presented by the major performing arts companies. Well, no, they don’t. Live Performance Australia collects attendance data from the major performing arts companies and large scale venues and events. For instance, music’s share of the total is as follows: opera, 2.9%, classical music 4.8%, contemporary music 42.5%. So the Minister is really speaking of the audience for the major companies and he will advocate for its interests by raising his voice in support of the shows it wants to see. Perhaps he hopes for two seasons of La Bohéme a year instead of a stingy single season. This audience speaks softly but it has a big stick: it buys tickets or it doesn’t. It is strange to think the companies do not program with this in mind. What we need the Minister to do is understand the entire ecology. We need to build audiences not only for the performing arts canon, but the arts of our time and place. The small companies are the incubators, the risk-takers, the innovators, a training ground. Even the major companies acknowledge this. An informed arts minister finds ways to support audience building, perhaps for crowd-pleasers but especially for the art that finds the way forward. The Minister has initiated a National Opera Review – a review of the companies funded by the Australia Council: OA, and the state companies of WA, SA and Qld. It would be surprising if the report does not recommend more funding. There is a particular problem with the Queensland Opera, which is operating in the red; there is speculation about the review as a cover for more funding to Queensland either through the state company and/or for Queensland tours by OA. 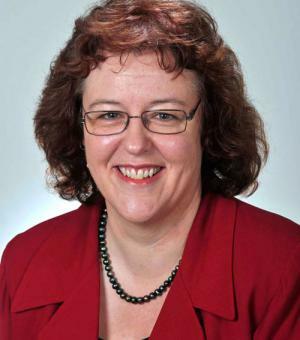 Responding to a Dorothy Dixer from Senator O’Sullivan, Senator Brandis accuses Labor of discriminating against regional Australia in arts funding. “We have tried to restore the balance…” He announced additional funding of $1m at a regional arts conference. We might then expect the NPEA to direct funding to the regions. But this will run into issues of excellence as Senator Brandis understands it. For instance, if you want to establish an excellent and viable string quartet, it will be impractical to base it in Tamworth or Townsville. You need to be in a centre with a large population base and plenty of contact with high level professional musicians. Head for the city (and teach a lot). Senator Brandis helpfully provided the state breakdown of Australia Council funding. These are the percentages of total grant funding going to each state; in brackets are the state populations as a percentage of the national population. NSW 35% (32%); Victoria 23% (25%); Queensland 9% (20%); South Australia 7% (7%); Western Australia, 6.7% (11%); Tasmania 4% (2%). Total 85%. Oh well. Brandis omitted the territories (population 2.7%). Indeed. It raises all sorts of questions about Australia Council monitoring, about what these statistics really tell us, and about arts development in the various states. But I suggest that one reason for the low funding for Queensland is that the population is more dispersed regionally than in other states. The financial report on expenditures by Senator Brandis’s portfolio can be found online. It includes the funding for the National Gallery and other institutions but also a number of grants to individual organisations that presumably are at the Minister’s prerogative. These went to the Australian World Orchestra, the Melbourne, Sydney, Canberra and Darwin Symphonies, the Australian Brandenburg, Australian Youth and Queensland Youth Orchestras, State Opera of South Australia, Pacific Opera, Queensland Ballet, Australian Festival of Chamber Music (Townsville), Bangalow chamber music festival, Brisbane Baroque festival, and FBi radio (Sydney). So a total of 15: Sydney 6, Melbourne 1, Brisbane 3, Adelaide 1, Perth 0, Hobart 0, Canberra 1, Darwin 1, regional 2. Regional restoration is apparently not urgent. 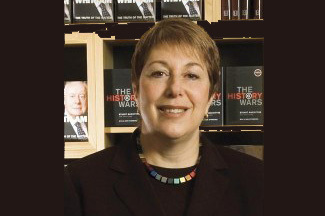 Louise Adler, head of Melbourne University Press, proposed that the Minister create a Book Council. He agreed. Under the Act, he could not instruct the Australia Council to fund this single entity, so he simply took the money out of the Council’s budget, put it into his Departmental budget, and in December 2014 issued a decree: Let there be a Book Council. If he had tried to persuade (not instruct!) the Australia Council that it would be a good idea to divert $2m of its $4 funds for literature to a single entity, a Book Council, there would be all sorts of tiresome probing and argument, questions about whether this was the most productive way to support literature and writers and readers and so on and so forth. Would it not be better to have thought about that before making the decision? The Australia Council website says: “We support the creation and development of new work through grants directly to writers and to the publishing industry, literary magazines and journals.” The activity may result in a book or magazine, but also a play, a film… What is omitted by whom? That’s very interesting! So everything is tumbled in together. It’s in principle easy to see how it could be decided that one jazz group is better than another but how do you compare apples and turnips? How do you decide whether this sculpture is better than that play or orchestra? But that’s for another article. The efficiency dividend is a percentage reduction from Departmental or program budgets, imposed on everyone except where it isn’t. So the Australia Council is not an administered fund?! Perhaps it does not have a Ministered favour. This is old ground. The efficiency dividend to the Australia Council should apply only to admin funds (as it has in the past). The grants go to artists and arts organisations many of which are on the edge of survival. They are efficient; they have no choice. Senator Brandis might try Labor’s trick. Subtract the efficiency dividend from the Australia Council allocation, add it back as an announceable increase in arts funding and bask in the praise. TRANSCRIPT of the May 27 Senate Estimates hearing into the Attorney-General’s portfolio. Go to this address and then click on the little pdf icon on the left of the page.